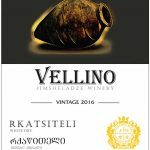 An hour’s drive from Tbilisi, the organic vineyards behind the Vellino wines drape the hills about the town of Kakabeti in the Kakheti wine region in the far east of Georgia. Here the limestone slopes ripple toward the Caucasus Mountains as one approaches the Azerbaijani frontier. For 8,000 years Georgian wine has been fermented in qvevri, the traditional, giant clay amphorae they would bury in the ground and fill with grape clusters -stems and all. The Vellino wines are made in this fashion to this day. Grown in a limestone parcel of the Kakheti region in eastern Georgia, the ancient, local grape varieties thrive as they have since they first gave rise to the art of viticulture dating back to the days of Noah after the flood when he first tended vineyards and embraced the juice of the vine. Once a coarse crapshoot left entirely to the flippant vicissitudes of nature and crossing one’s fingers for agreeable microbiology, these wines are now made more deliberately in ways that combine a more attentive cellar hygiene with the old ways for which the region is known. 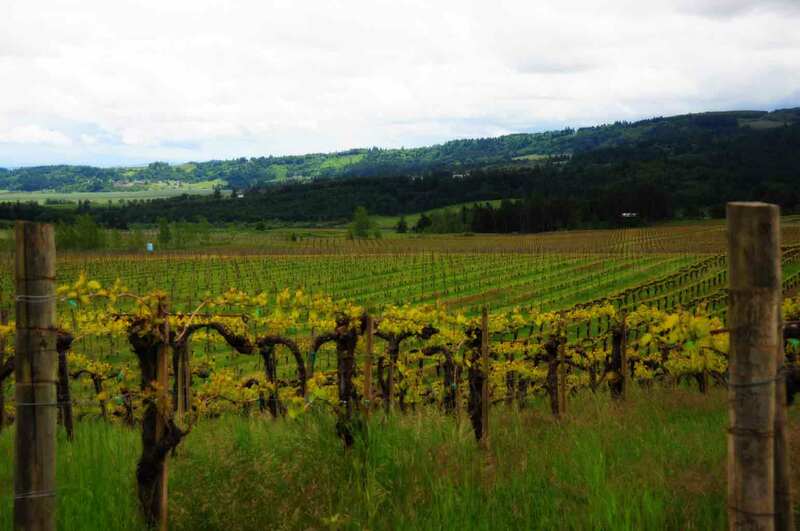 Be that as it may, winemaking here still remains an art of natural, spontaneous ferments yielding engaging wines that are savory and appetizing, unlike anything else to be found anywhere else in the world. Neither fined nor filtered, these are also vegan and vegetarian friendly and play host to any number of creative food and wine pairings. An ancient grape variety made into a wondrous wine using age old methods practiced throughout Georgia, the cradle of winemaking. This crisp white variety is fermented on its skins and stems in the giant clay qvevri unique to Georgia. Winemaking here stretches back 8,000 years and among these Caucasus Mountains, biblical scholars even believe Noah planted the first vineyards bound for wine -with many holding Rkatsiteli to be his cultivar of choice. Archaeological digs have even found Rkatsiteli seeds at the bottom of clay vessels dated to 3,000 BC. To this day, winemakers in Georgia ferment their white grapes on their skins in clay qvevi and the high acid and deeply ripened flavors of Rkatsiteli complement this method nicely. In doing so this dry wine takes on an amber hue, rich apricot flavors, apple skin tannins, and a rich depth of flavor ranging from golden apples to quince to Mirabelle plums. 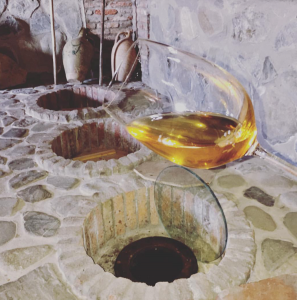 Here in Georgia’s easterly Kakheti region near the Azerbaijani frontier, winemaker Beka Jimsheladze leaves his Rkatsiteli to spontaneously ferment with ambient yeasts preserving a citrussy floral high note to the deeper stone fruit flavors below. Such a savory, textured, and tannic “orange wine” is fascinating on the palate sipping it unto itself but a delight with a cheeseboard, charcuterie, white meats, and a dream with seared pork chops with fried sage leaves. 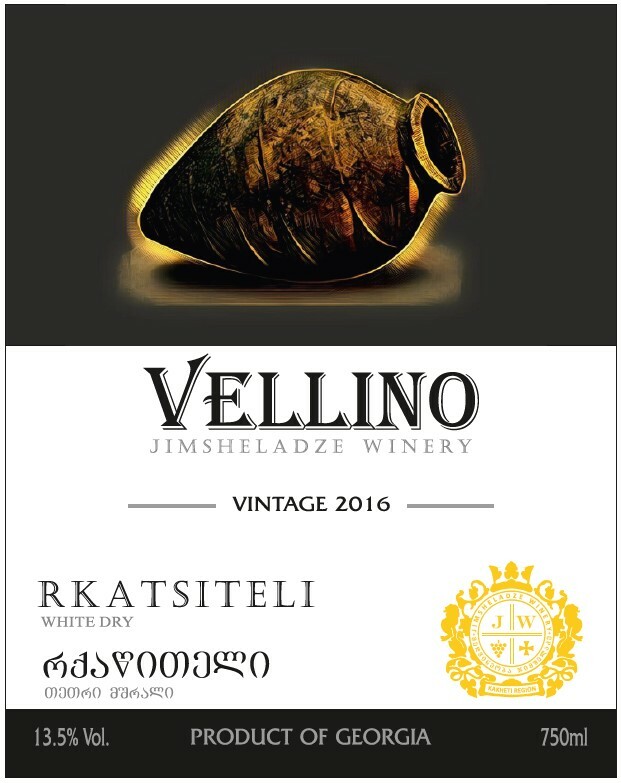 Neither fined nor filtered, all the Vellino wines are vegetarian and vegan friendly. A velvety red, deep in color, redolent of violets, and rich in savor and blackberry fruit. Saperavi is the ancient Georgian variety named for “dye” after its deep, pomegranate color. Grown in a pocket of limestone in the Kakheti region in eastern Georgia shows a wild berry profile and makes for a delightfully fresh red after a long fermentation on its skins and pips. 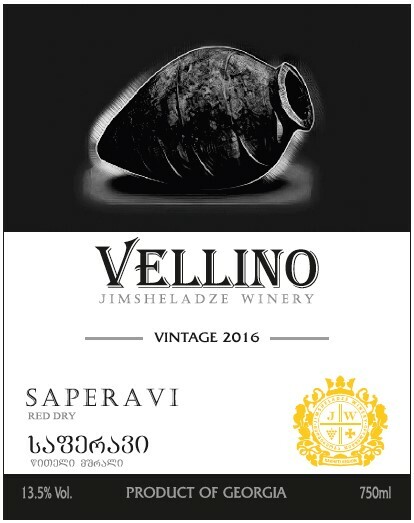 For this 2016 vintage this Saperavi was fermented exclusively in stainless steel offering a rare glimpse at its varietal character sans the secondary notes of fermenting in qvevri. Fragrant and floral with open knit tannins and a bright charm to its dark fruit, this Saperavi marries the structure of a rich Chinon with the cracked pepper and berried fruit of a rich Zweigelt. A wine unto itself and a welcomed addition for the dinner table. Neither fined nor filtered, all the Vellino wines are vegetarian and vegan friendly.